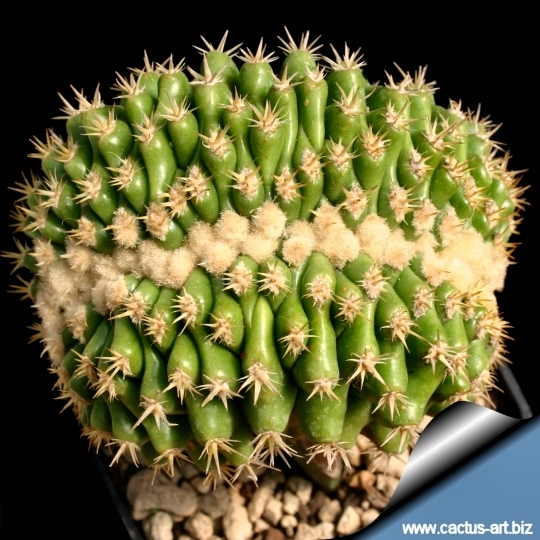 Description: The typical Echinocactus grusonii "brevispinus" (inermis) is a very short spined mutantant of the well known "Golden barrel cactus" that - except for the spines - it is identical in shape and size to the standard species. 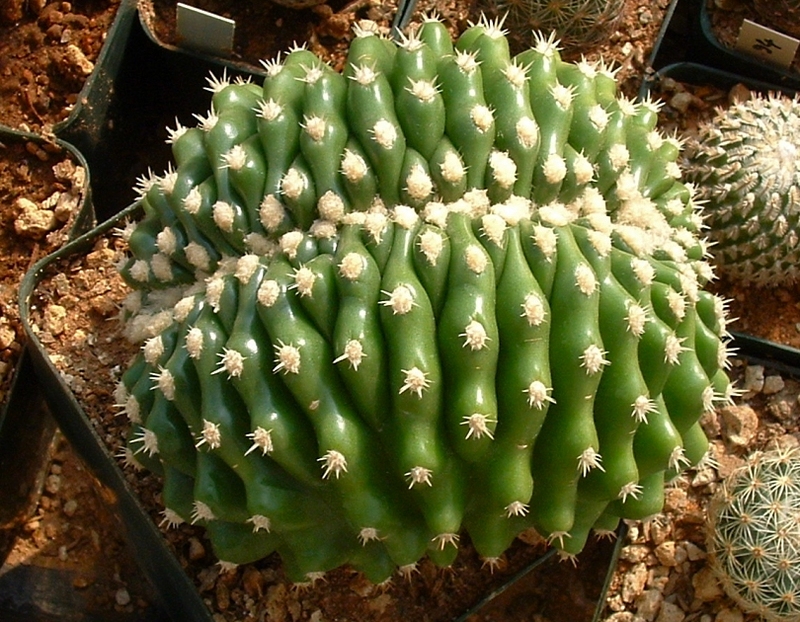 The standard form is very popular and widely grown, while the beautiful crested variant is still rare in cactus collection. This crest can also get very big making a spectacular specimen. Stem: Pale green and heavily ribbed with numerous areoles sprouting very short radial, yellow spines. Flowers: Produced from end of spring to summer only on larger mature specimens receiving enough full sun. Flower are diurnal, vivid yellow (4-5 cm wide) and form a circular ring at the top of the plant, but are not very visible being small in relation with the size of the barrel, and lost into the creamy coloured wool at the plant apex. Feeding may not be necessary at all if the compost is fresh then, feed in summer only if the plant hasn't been repotted recently. Do not feed the plants from September onwards as this can cause lush growth which can be fatal during the darker cold months. Grown specimens resist to -4°C for a short time, but it is best to keep above 5° C to avoid ugly spots on the plant epidermis. 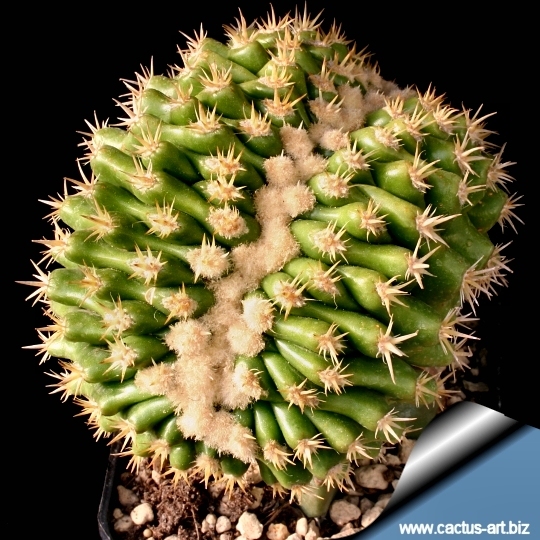 Prefers a position in full sun, which will help to maintain the lustre of the spines. Besides, it performs wonderfully in containers, Container media should be coarse as well. Propagation: From cuttings or grafting on a large strong under-stock.